Best dies for reloading 38 wadcutters? Was wondering if anyone had thoughts on the best die set for reloading for the 38 HBWC. Sometimes my rounds will end up with a bulge which doesn't work too well in a semi-auto. Re: Best dies for reloading 38 wadcutters? What dies are you using now? I’ve used RCBS carbide for years with no issues. Redding have a good reputation. Is the bulge at the base of the bullet? If so, then your expander needs to be longer. Dillon dies are notorious for having short expanders. I use a LNL press for the .38 WCs. In it I have a Lee resizer, a Lyman M expander, a Redding seater, and a RCBS taper crimp. I like all the colors. I have redding, RCBS, dillon and lee dies. 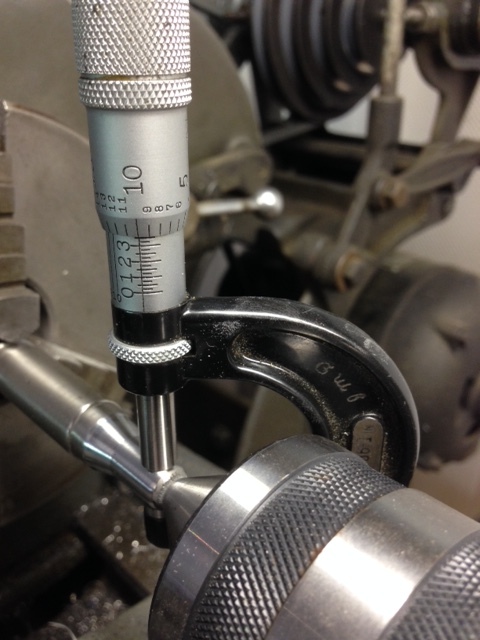 The RCBS and Redding are both very well made, and the Redding micrometer is a great feature. I believe Hornady makes the same. The Dillon is very easy to clean and handy, as you don't have to remove the die to take out the insert, just the pin, but they don’t size as far down as the Redding. IMO, I think they'll all serve you well. 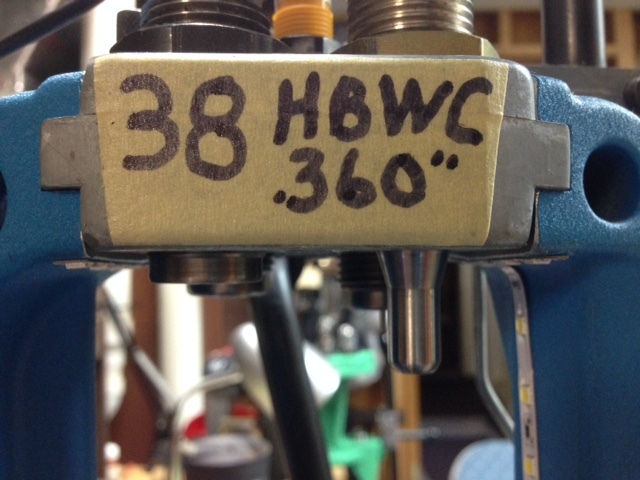 I do have a Lee Universal die with NOE inserts to ensure the HBWC is properly seated and not swaged, it works like an adjustable/customizable Lyman M Die and combines the features of both. No trouble with any of them. If you have a chance to see the AMU reloading shop, the overwhelming color of dies are green, a small amount of red, and a very very small amount of blue. I'm using Dillon dies. I have a Dillon 550B. The bulge seems to be mostly at the base. I've got to make sure I'm sizing correctly! Perhaps that's the issue. Maybe I'll have to keep an eye out. I am now loading 148's and am using a Dillon 550. So far, no issues like that at all with standard Dillon dies. I have to agree. I have never had a problem with the Star press in .38 or .45. I use Lee dies in 3 of the holes in my turret press and modified (belt sander) an old RCBS seating die to fill the 4th one. I think they come out pretty good. At least I never have any feeding problems. I had a custom expander plug made for my RCBS .38 Special expander die. It is both longer and larger in diameter in order to allow me to insert the long and larger diameter HBWC's without swaging them down. I also use a Lyman taper crimp die. I use Lee Dies and the Lyman M die with Hornady Lock n Load Bushings. I use a 550b with dillon 38/357 dies and I use a bullet seating stem for wadcutter/semi wadcutter. This contacts the shoulder of the bullet not the point, and I've never had a wc or swc get shaved or seat crooked. Unique Tek sells em for 15 bucks. Maybe it doesn't matter to others. If your getting a bulge near the base try adjusing the sizer-deprimer die until it touches the shell plate. Don't go any further because the Dillon press isn't the kind of press made for overcamming. I've never had any problem with Lyman, RCBS, Lee or Dillon dies. I like the Dillon dies best on Dillon equipment, but I've use the others without any major difficulties. The Dillon dies seem to have a chamfer so the mouth of the brass doesn't catch. Redding dies look like they are well thought out. 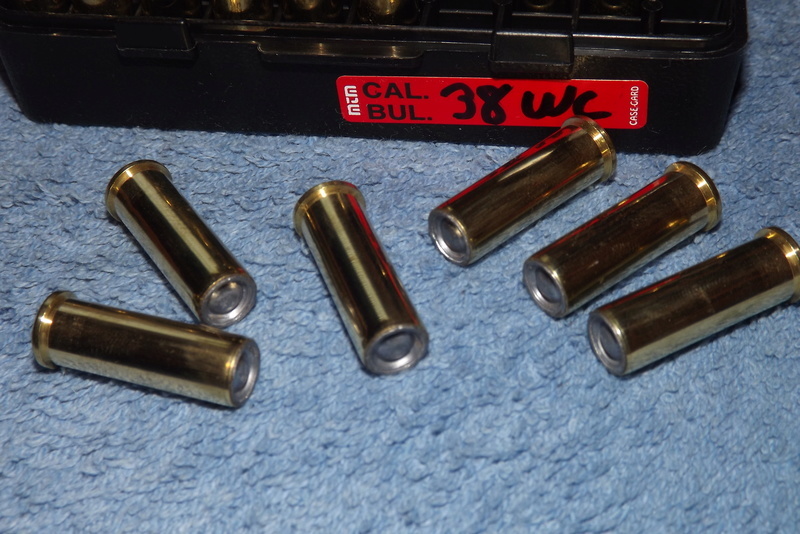 I just started to use a 9mm Lee factory crimp die with my Dillon 550 when loading 9mm ammo. It might take care of that bulge for you. It's inexpensive enough to give it a try. The “Pro Series”, for use in progressive reloading machines, is a specially prepared three (3) die set. Since the most popular machines do not make use of an expander (TIC) (PRO ST) (CR) die, it has been eliminated in the new “Pro Series” sets. The sizing die is the extraordinary Redding Titanium Carbide, complete with a decapping unit. A superior crimp can be accomplished if it is done in a separate operation from the bullet seating. For this reason the “Pro Series” bullet seating die is designed for bullet seating only, with no crimping feature. Our Profile Crimp die is supplied for the final crimping. 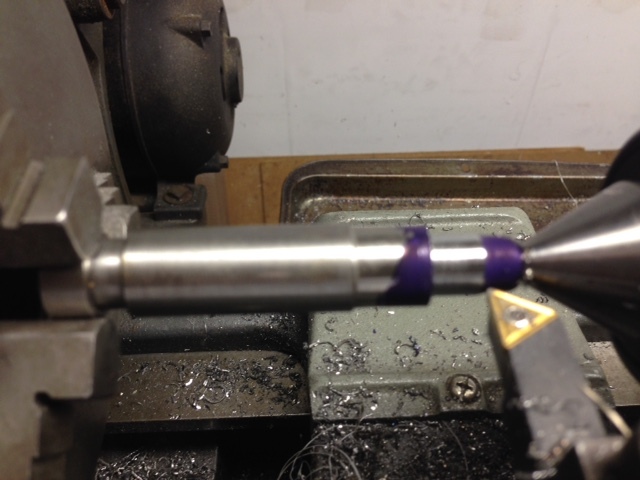 For cartridges that headspace on the case mouth, a Taper Crimp die is substituted. All dies in the set have a special large radius at the mouth for easy case entry, a necessary feature for progressive machines. There is also a dual ring option. Was reading this to see how different dies compare. Ever since I learned about it, the RCBS "Lockout Die" has seemed like a good "insurance" against a mistake. None of us make mistakes, so maybe it's superfluous (?? ), but it's good for a bit more peace of mind. I don't have nearly as much experience at this as you guys, but little by little I keep reading things that put Redding out front. I load on a turret type press. I can tell you I use almost nothing but Redding dies for all my reloading. I do my seating and crimping separately. If I remember correctly, Redding Pro dies are for progressive presses. As for my old dies of different brands, I set on them till I hear about someone wanting to start reloading. I normally offer them for a very cheap price or give it to them. I use an RCBS full length carbide sizer, RCBS seater with full wadcutter seating stem and a Dillon powder funnel from another caliber that was modified to .360" diameter and almost full depth for the 148 HBWC.